Exercises for cellulite can definitely help reduce the orange peel look. The problem is, most people don’t do the right things that will actually make a difference. Read on to discover exercises and routines that can actually help improve the quality and look of your skin. 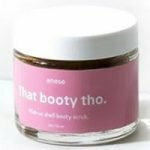 Can Yoga Help Reduce Cellulite? You’d be surprised at all the different things you can do to reduce your cellulite. Did you know yoga can help?